PUT YOUR COMPASSION INTO ACTION and join us for a sanctuary internship. 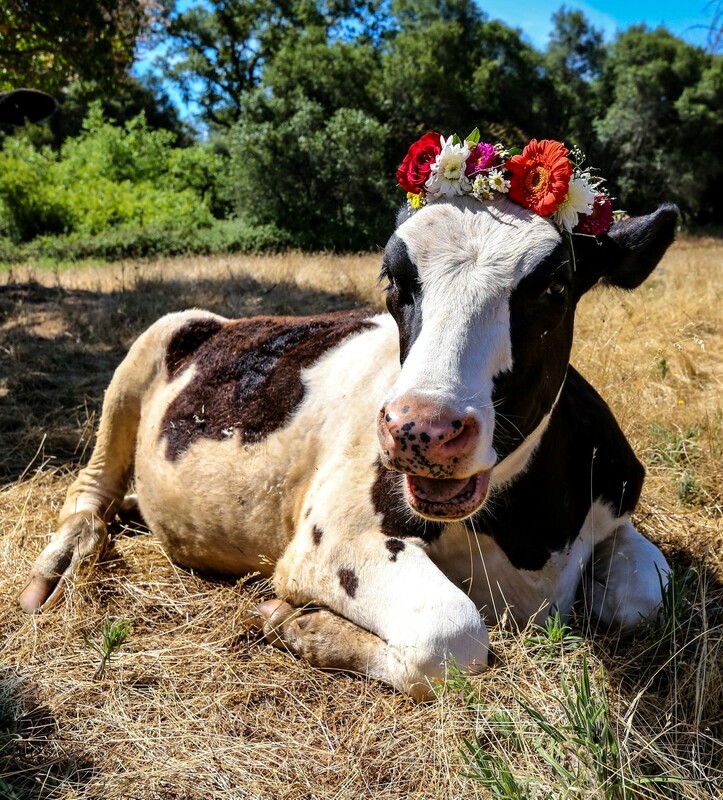 Animal Place is one of the oldest and largest farmed animal sanctuaries in the country, nestled on 600-acres in Grass Valley, California. 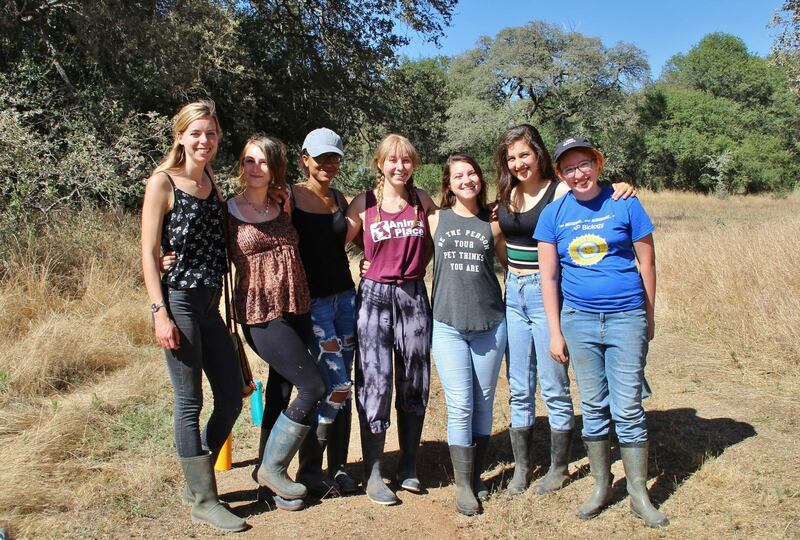 Your residential, live-in internship provides an amazing opportunity to learn what it’s like to work at a sanctuary doing animal care or advocacy. Interns learn about farmed animal behavior and how to be better advocates for animals! 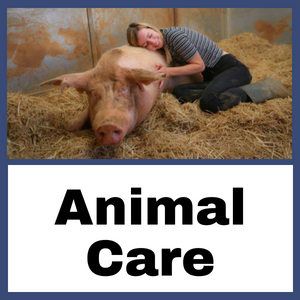 Get a feel for what interns do by following the Animal Place Sanctuary Interns Facebook Page! Transportation: Pick-up and drop-off from the Sacramento International Airport is provided by Animal Place for arrival and departure. Interns are welcome and encouraged to bring their own vehicles. Please note: The sanctuary is located 6.5 miles from the nearest town of Grass Valley, 30 miles from Auburn, and 60 miles from Sacramento. The sanctuary is in a rural area and is not walking distance to town. Refundable Deposit: Interns must provide a $200 deposit to secure their spot, which is refunded upon completion of the program. If this is a financial burden, please email patti@animalplace.org to ask about our deposit scale, or consider applying for our Intern Scholarship outlined below. Capabilities: Applicants should be able to meet the requirements outlined in the Essential Capabilities Document. Thanks to the support of a generous donor, Animal Place is awarding up to 14 intern scholarships in 2019! Determinations are based on financial need. Applicants must submit an Internship Application below before applying for an intern scholarship. Scholarship information and application. Read through the descriptions of our ANIMAL CARE and ANIMAL ADVOCACY internship programs and submit an application below before the application deadline. What do you feel are your best qualifications to be an Animal Place intern? Would you like to receive our weekly e-alerts?